You can tell a great deal about a country and a people by what they deem important enough to remember, to create moments for — what they put in their museum and what they celebrate. … Yet I would suggest that we learn even more about a country by what it chooses to forget — its mistakes, its disappointments, and its embarrassments. In some ways, African American History month is a clarion call to remember. Yet it is a call that is often unheeded. Philadelphia’s streets are lined with history. The blue and gold signs issued by the Pennsylvania Historical Museum and Commission mark everything from the oldest medical library in the U.S. at Pennsylvania Hospital to 300-year-old Elfreth’s Alley. Jessie Redmon Fauset was among the first wave of markers dedicated in the 1990s. 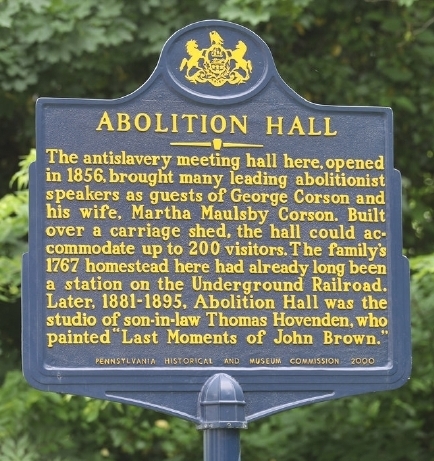 Her marker was installed in front of the North Philadelphia house in which she was living at the time of her death. The February 18, 2017 issue of the New Yorker included an article by literary commentator Morgan Jerkins, “The Forgotten Work of Jessie Redmon Fauset.” The piece revived interest in Fauset’s literary work. However, the accomplished writer was never forgotten in Philadelphia. On its 150th anniversary in 1998, the Alumnae Association of the Philadelphia High School for Girls elected Fauset to their Distinguished Daughters Court of Honor. She was the first African American graduate of the prestigious public school. Although former Sixer and NBA legend Charles Barkley played on a different court, he, too, honored Fauset by naming her a “Philadelphia Black History Month All Star” in February 2018. A few months later, Jacqueline Wiggins found an ugly patch on the sidewalk where Fauset’s historical marker used to be.